Charlotteans love our craft beer. With 27 breweries in the Charlotte area (defined as Charlotte, Huntersville, Cornelius, Mint Hill, Concord, Mooresville, Gastonia, Rock Hill, Belmont, Waxhaw, Dallas, and Monroe) and another 21 proposed as of February 2016, we can’t get enough good local brews and love hanging at a brewery with our friends and family. While local craft beer options are booming, there is also a legal battle brewing, so to speak, in North Carolina. Although this battle may not directly affect the Charlotte beer connoisseur, it does affect the future of many of these local businesses. Craft breweries are battling to increase the amount of suds they can brew, so you can drink more and drink locally -- but distributors and state lawmakers want to keep batches small. In October 2015, The Olde Mecklenburg Brewery and NoDa Brewing Company formed Craft Freedom, a group that aims to change a state law that places a self-distribution production cap of 25,000 barrels on North Carolina breweries. The cap has big ramifications on distribution and production, as well as what you might find on tap at your favorite bar. Existing North Carolina law allows breweries to self-distribute their beer, as long as they produce fewer than 25,000 barrels per year. Once a brewery exceeds the limit (equivalent to the amount of beer the entire state consumes in about 1.5 days) during the calendar year, it must work with a beer distributor. The distributor then gains control over all sales, delivery, distribution, and quality control during transportation. Today, most craft breweries in the state have created their own self distribution networks. As a result, brewery owners feel that they have no choice or say in what happens to their businesses. John Marrino, founder of The Olde Mecklenburg Brewery (OMB), believes that smaller breweries will suffer under the guidance of a large distributor. Yet a representative of The North Carolina Beer and Wine Wholesalers Association believes the breweries behind the Craft Freedom movement are operating entirely in self interest. “[Craft Freedom] is an effort by a handful of breweries to create a special privilege for themselves at the expense of everyone else in a highly competitive beer business,” said Tim Kent, executive director of the North Carolina Beer & Wine Wholesalers Association. The trade association has represents approximately 5,600 employees of family-owned beer and wine distributors throughout the state. According to the NC Craft Brewers Guild, the annual economic impact of the craft brew industry in the state is estimated at $1.2 billion. The industry also creates thousands of jobs worth $300 million in wages annually. These numbers are increasing as more breweries open and as more consumers order and demand higher gravity beer. Both OMB and NoDa have already felt the impact of a 25,000 barrel cap. In late 2015, OMB stopped plans to further expand into the Triad area due to the cap constraints. Others are worried about overall business growth. “If the cap remains in place, OMB will be forced to continue to shrink our territory to regulate our growth,” said Jocelyn Ruark, marketing director for OMB. Ford echoed a similar sentiment. “NoDa has grown at a rate of 75-100% annually for the past three years, but that will drop to about 30% growth this year in part due to the concerns of this law,” he said. Limiting growth to avoid the cap is the only option for these breweries, which want to retain control of their product. While NoDa has grown at a rate of 75-100% annually for the past three years, it will drop to about 30% growth this year “in part due to the concerns of this law,” Ford noted. States with the most established and the most successful craft breweries have little or no restrictions on self-distribution, Ford added. Breweries that exceed the cap and are required to find a wholesaler might also result in layoffs. “Exceeding the cap would also require us to fire our in-house distribution employees, forfeit almost 30% of our revenue and margin to the distributor, and – due to franchise law – relinquish ownership of our OMB brand,” Marrino said. Will NC beer history repeat itself? North Carolina’s history of battling booze goes back many years. In 1908, North Carolina was the first Southern state to implement statewide prohibition and even refused to sign the 21st amendment (which repealed Prohibition) in 1933. Beginning in 1930, North Carolina had also imposed a 6% alcohol by volume (ABV) restriction on beer sold and brewed within the state. Our rocky relationship with alcohol and beer did lead to one great national pastime: stock car racing. During Prohibition, drivers were hired to “run” bootleg alcohol to various destinations across the country as fast as they could to evade the police. When Prohibition ended, these drivers would still run moonshine and it became a form of entertainment for many. The spectacle would eventually evolve into NASCAR, with a large number of drivers hailing from North Carolina. If you haven’t visited the NASCAR Hall of Fame yet, you’re missing out. More recently, the “Pop the Cap” movement lobbied for years to increase the amount of alcohol by volume (ABV) in beer from a cap of 6% to 15% ABV. In 2005, the state changed the restrictions. 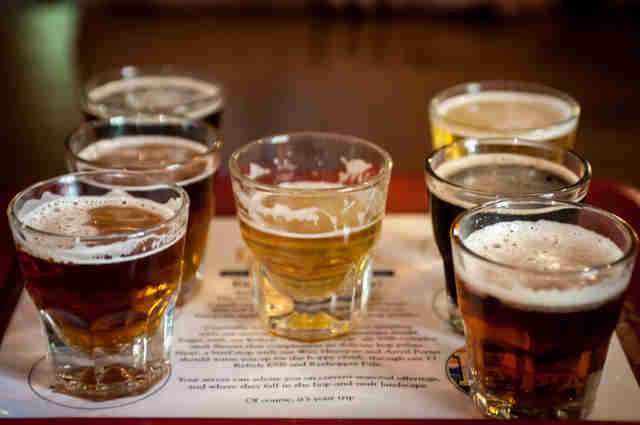 This law, officially House Bill 392, ushered in a new era for craft beer. 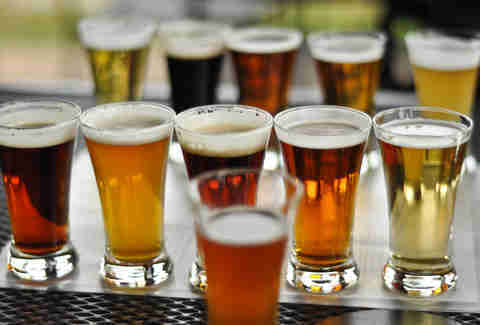 Brewers were now able to create and sell a wider range of high gravity beer, such as Belgian ales and our beloved IPAs. This law also allowed bottle shops, such as local favorite Brawley’s Beverage, to sell higher alcohol content beer without breaking the law. Now that the election is over, the Craft Freedom movement is ramping up. The group has retained a political strategy firm and two lobbying firms to help persuade the state’s General Assembly when it reconvenes on Jan. 17, 2017. While Craft Freedom originally began with two breweries, there are now approximately 60 breweries who have signed onto the movement throughout the state. 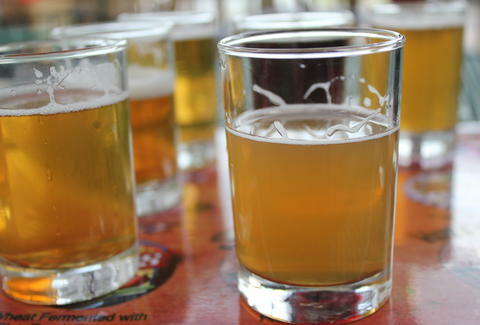 “Lifting or raising the cap will allow microbreweries the freedom to continue to grow and develop their business plan without the intervention of government regulations designed to protect the business interest of a few distributors,” said Paul Shumaker, whose political consulting firm, Strategic Partners Solutions, is working with Craft Freedom. 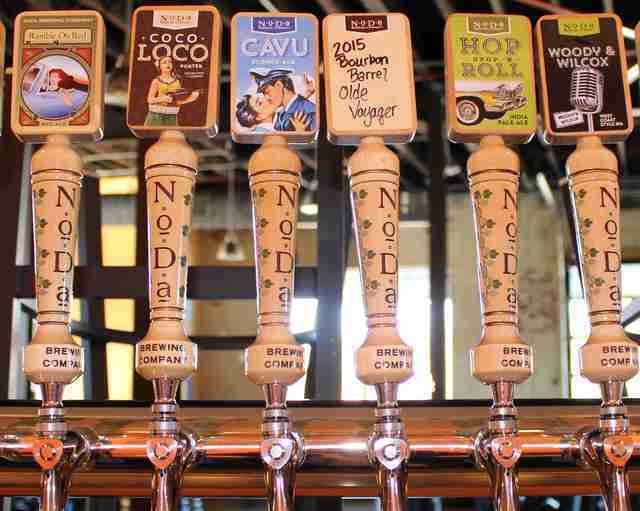 With the additions of these firms, the breweries are ready to get to work. Even with lobbyists and strategists, the Craft Freedom movement will embark on a “true David versus Goliath legislative battle,” Shumaker said, pointing to the Wholesalers Association. “The 25,000 barrel number is in place to provide incubator breweries an opportunity to get started and obtain access to market. 25,000 barrels is a lot of beer. It’s the equivalent to 8.3 million bottles of beer. 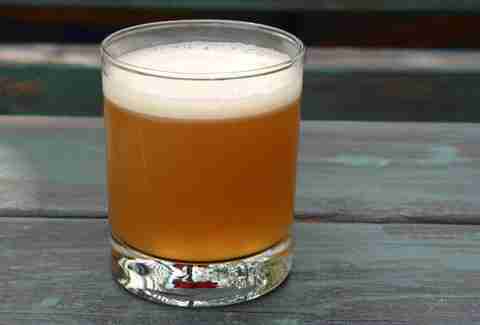 Any brewer at that level is far past the incubation point,” Kent said. Kent added that North Carolina has the most permissive craft beer laws of any state between Virginia and Texas, and has more than 200 brewers. The Association argues that many brewers work closely with North Carolina beer distributors and have moved beyond truly craft brews. Additionally, big names like Sierra Nevada, New Belgium and Oskar Blues have established a presence in the state. Although this law only affects two of NC’s 27 local breweries at the moment, other area breweries will be affected as they continue to grow. Triple C Brewing, a supporter of the Craft Freedom movement, currently brews 6,500 barrels per year. While under the barrel cap, this year Triple C signed a lease on a 10,000 square foot warehouse space that will expand Triple C’s footprint by about 50% with space for events, and additional space for production. They’re hoping to be on the right size of a boozy history. Craft Freedom’s challenge will be to persuade lawmakers to change a distribution model that’s been in place for decades, while opposing forces hope to keep the model in place. Given the history-changing Pop the Cap law, anything is possible and no one knows which way the legislature will lean. We can all rest easy, however, knowing that everyone in North Carolina thinks drinking beer is important. Erin Maddrey believes in freedom for all, including craft breweries. Follow her on Twitter and Instagram @ErinMaddrey.